Aareon is built on the powerful WordPress platform. 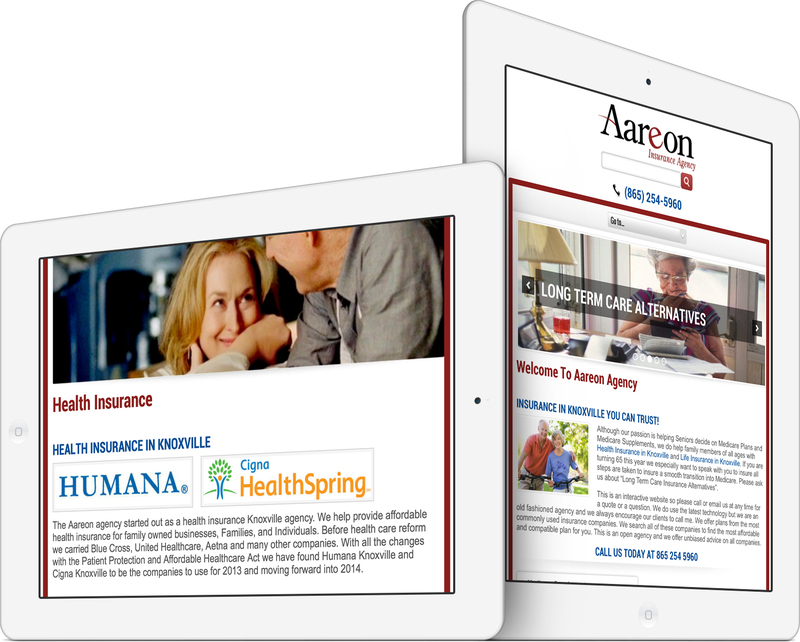 The site’s various pages educate visitors about life and health insurance options. Every page includes the agent’s phone number and email address for quick contact, as well as links to the social media profiles. The homepage features a slider, which cycles through photos and services. Pioneer Media started managing Aareon’s website to improve the SEO (Search Engine Optimization). 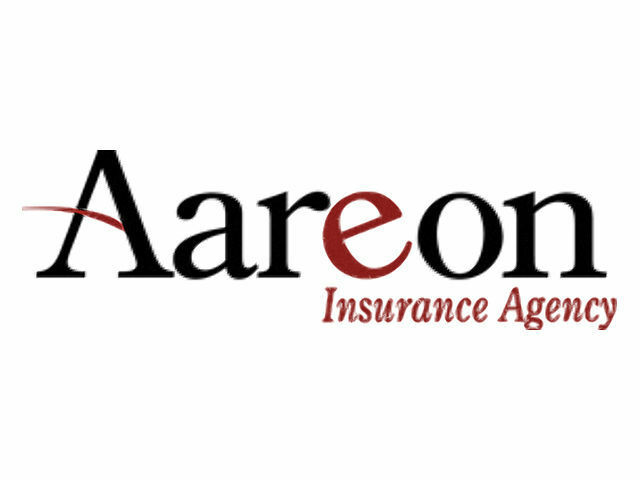 We have improved and streamlined Aareon’s presence across the web, including various social media sites. 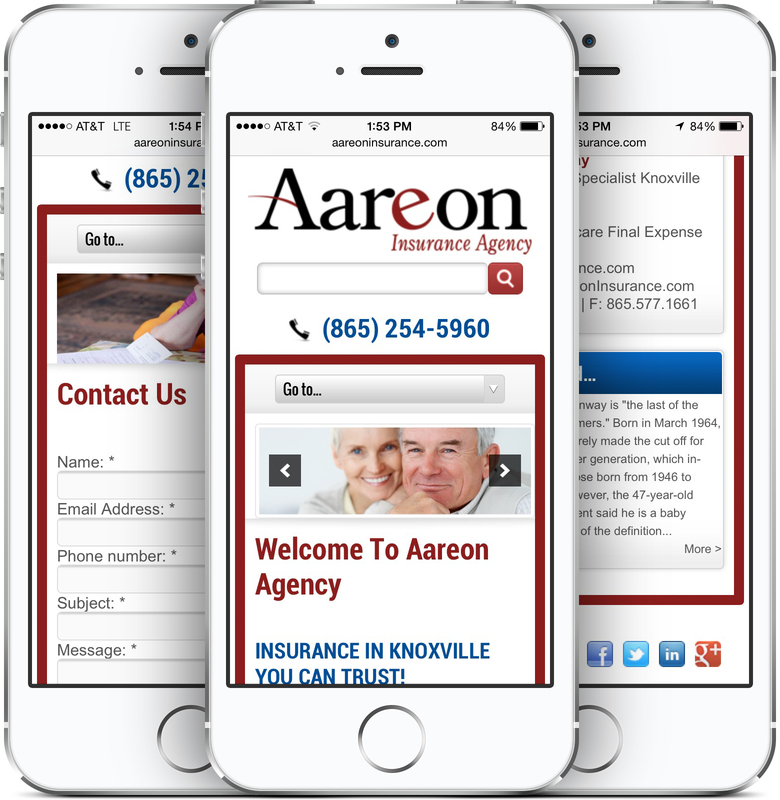 We actively provide Knoxville website design, management, hosting and SEO services for Aareon Insurance Agency. 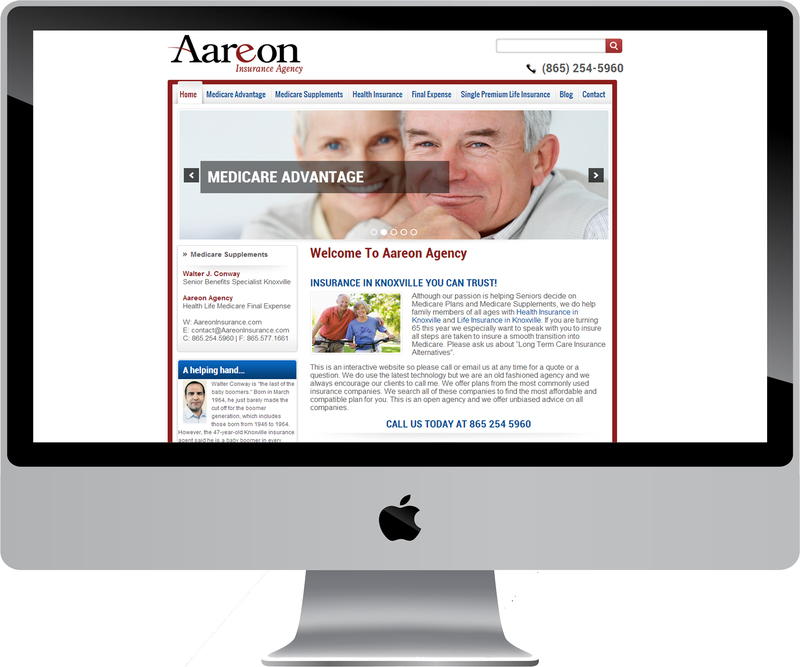 Aareon agency provides seniors with a wide variety of Knoxville Medicare Advantage plans and supplements. We also help small businesses and families find affordable Health and Life Insurance.